Making homemade cider and wine is a fun and delicious way to preserve the bounty of summer fruit. It is also much easier than making other alcoholic beverages, which is probably why people have been doing it for centuries. 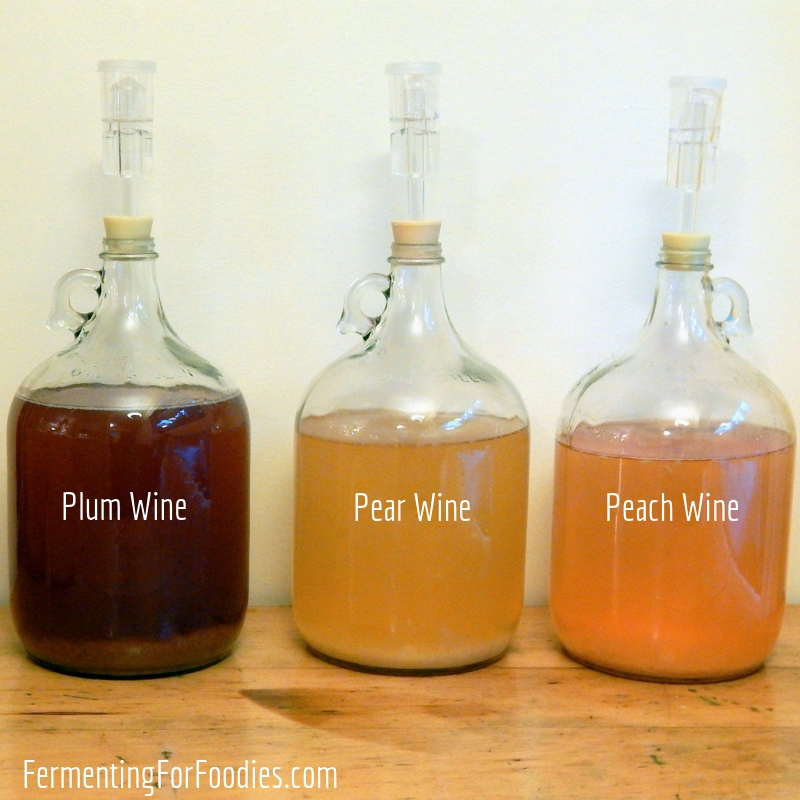 Fermenting fruit into homemade cider or wine is a HUGE topic. There is so much information and advice out there. Here is everything you need to know broken down into a few easy-to-follow topics. 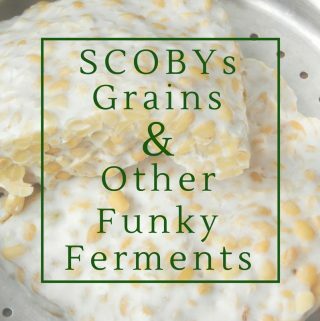 I’ve been making wine for a few years now, so if you have a question feel free to write in the comments below or on the Fermenting For Foodies Facebook page. 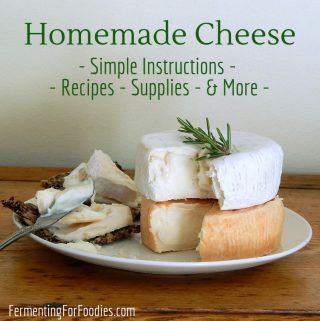 Equipment and Supplies: Everything you need to make homemade cider and wine, including some easy DIY substitutions. Sterilization and Sanitation: It’s important to ALWAYS make sure that all your equipment is sanitized. 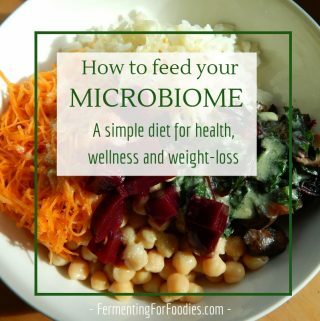 It’s the only way to ensure a safe and successful ferment. 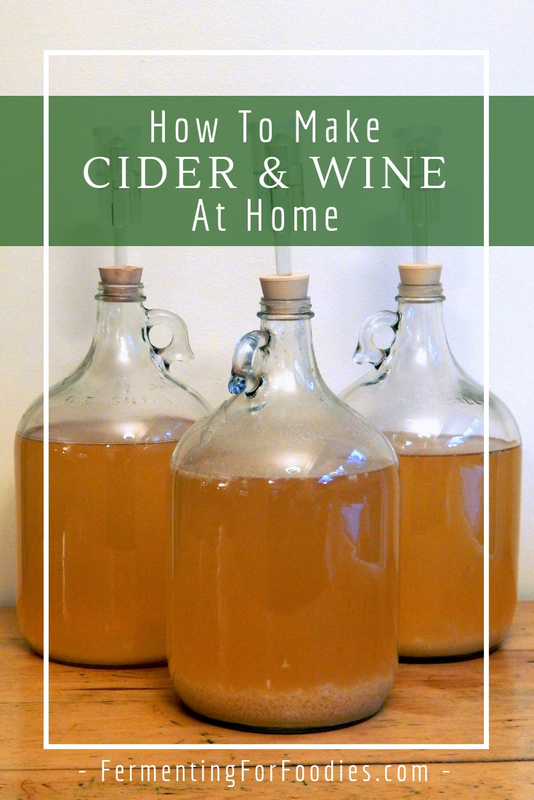 The Basic Process: How to turn fruit or juice to into a delicious bottle of cider or wine. Recipes: Recipes for making your own fruit wine and ciders!